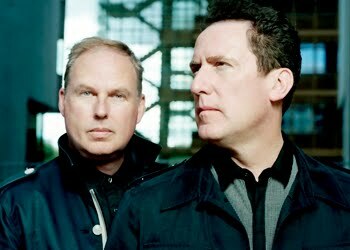 WAIST HIGH: OMD To Tour North America. OMD To Tour North America. Orchestral Manoeuvres in the Dark announced Monday they will be heading to North America in support of their new album History of Modern with dates beginning March 5 in Toronto and ending March 26 in San Francisco. The tour will be OMD's first North American shows with the original line-up since their dates opening for Depeche Mode during the 1988 Music for the Masses stadium tour. History of Modern, the 11th studio album from OMD, was released last year and was the first album of new material from this original line-up (Andy McCluskey, Paul Humphreys, Martin Cooper, Malcolm Holmes) since 1986's The Pacific Age. All tour dates and tickets, including special show packages, can be found at omd.uk.com.